they have acquired sufficient knowledge. program in addition to the school program. aids in better retention of knowledge. and email or post it back to us. Established since 2004, Scholastic Excellence is reputed for providing quality academic tuition for students ranging from Year 4 to 12. Our Accelerated Program has given advanced students the competitive edge in NAPLAN, GATE, ICAS and WACE exams (see Accelerated Program) while our individualised modular-based teaching system allows us to cater to students of different abilities. Our students’ improvements and results are testament to our success (see Outstanding Students). Our forte lies in our experienced and dedicated teachers, modular-based teaching system and well-structured work notes as well as worksheets and mock tests and exams. Students from Yr 4 to 9 are given end of term tests to access their progress and mock tests on NAPLAN, ICAS and GATE before the actual tests. Senior school students are given weekly notes pertaining to their schools’ topics. They are also given a mini mock test a week before their school tests to help them prepare for the school actual test. 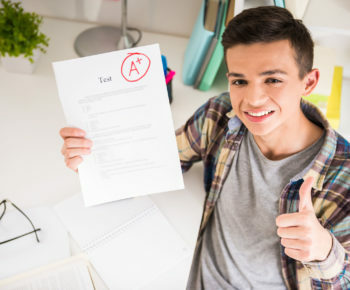 Holiday Revision Classes further strengthened students’ understanding of the subjects and they are also given sample exam questions for practice to give them an edge in tests and examinations, including NAPLAN, ICAS, GATE and WACE. We try to make the enrolment as simple as possible. Select the appropriate enrolment form by clicking on the link below. Please fill out the appropriate form. Contact us for help or advice. Email us your form or send it via post. Click below for our contact details.